Imagine the world as a giant board game, where you can buy and sell real-life places and earn rent every time someone visits your property. Now it’s possible! Landlord Real Estate Tycoon is an award-winning geolocalisation Monopoly-game, that throughs you into the reality of big business! Make the best property deals, earn big money, compete with friends, people from you country or even the entire world to ultimately become one of the most powerful magnates on the globe! Players satisfaction is crucial in our work. We’re improving the game every day to fulfil our mission of creating a perfect gaming experience! As a starter you get 50,000 in game dollars. No need to thank us! Our rapidly growing team is constantly working on making the game better. Landlord Real Estate Tycoon is a business tycoon, that transforms the world into a giant board game and allows you to become a powerful strategy tycoon in the world of real estate! Landlord is the biggest mobile tycoon on the market with millions of players worldwide trying to become the best estate tycoon! 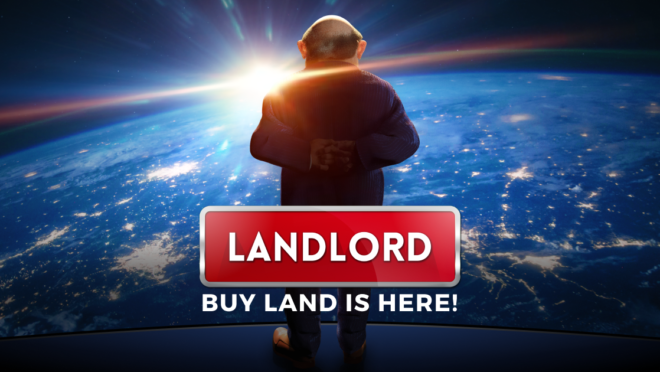 Landlord Real Estate Tycoon leads you into the world of capitalism where you can experience yourself the adventure capitalist life and become the leading capitalist in the digital world! Buy and sell, earn money and experience the everyday life of a modern capitalist to reach the top in the capitalism structure! Luckily the reality of cell phone games changed during the last few years and we can finally say, that there are indeed good phone games that have a splendid design and extraordinary playability. It is well known that there is an overwhelming number of possible uses of big data in business and industry, but what isn’t known to everyone, big data systems can also be the base for fun and entertainment. Free online mobile games are currently in a very comfortable position. A few years back mobile games weren't really treated seriously, but that's not the case anymore and top mobile games have no problems proving it! Google Play analysis shows, that 67% of all published gameplays on YouTube involve popular mobile games and only 5 years ago PC and console games were the unquestioned ruler of let’s plays or internet reviews. The future looks very promising for new mobile games, because the number of creative concepts for mobile games is almost unlimited. Mobile is the most lucrative segment of games market, where smartphone and tablet gaming is growing 19% year on year. 53% smartphone users and 66% tablet users play mobile games each day. To ensure the best impression for users, the mobile game development industry is focused on developing advanced gaming applications. Mobile gaming is a constantly growing world of possibilities in which innovations are constantly appearing, sometimes in the field of mobile application development or at other times, with facts related to it. When it comes to knowledge of interesting facts about the mobile applications industry, the information is widely available to those who are really interested in learning. One of the reasons for the popularity of free online mobile games is the extremely easy accessibility and - wait for it - their mobility. Mobile games can be played everywhere and usually don’t need a very strong computer. Although some of the top mobile games do require a decent smartphone, there are plenty of other apps that can be played on almost any device. The best mobile games are well known for their smart, but simple concept, that doesn’t require a lot of horsepower and that what makes them so unique. A fine example is Reality Games’ flagship - Landlord Real Estate Tycoon - that became an important player in the world of popular mobile games with a very limited budget. It only shows the potential of games to play on a mobile and how better mobile games are doing in the business. A production of AA titles needs thousands (or even millions) of dollars, while some of the best free mobile games were created for a few hundred dollars in less than a month. 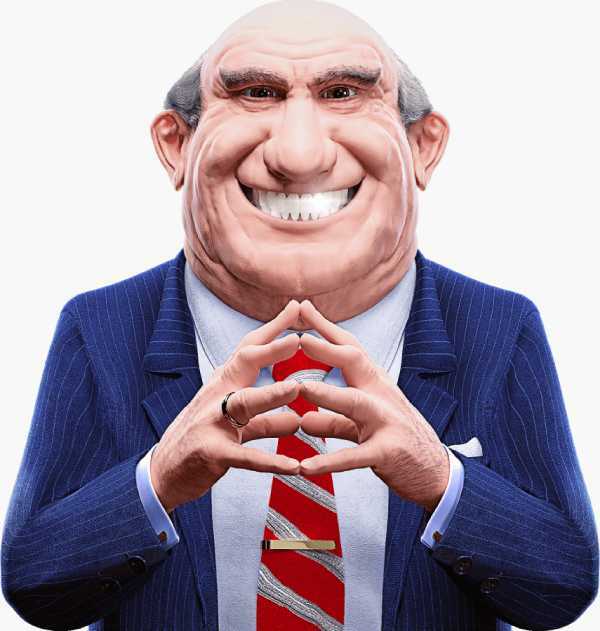 Another example for this is Donut Trumpet Business Tycoon, another mobile game from Reality Games, that works on the same concept and mechanic as Landlord and was finished soon after the birth of the idea to create a game about “we all know who” during the US Presidential Election. Such mechanisms are impossible outside of the online mobile games reality and only shows once again the wonderful potential and future of new mobile games. But online mobile games are not only created to be funny and entertaining, they are often also able to be edutaining. Weather Challenge can be a very good example for that. Its main gameplay is based on weather forecasting and mini games, but the game also contains a vast number of quizzes that can teach the player some things about the world - science, history etc - mostly from the perspective of funny weather stories or situations. Again, the best free mobile games allow to offer a player such an experience, because they don’t have to focus on a very popular topic, since there is a overwhelming number of potential players in different age groups - even +50 - while pc or console games are mostly played by younger people. Anyway, have you heard that playing your favorite mobile game will let you feel seven years younger? Is not it worth trying to feel younger? "It is a very unique game wherein you could imagine yourself a business tycoon buying and selling real properties around you. It gives a very realistic plus fascinating gaming experience. Words aren't enough to describe the game...yup." "I really enjoy this game.  It's very well developed, easy to control, and makes you feel like your buying property when bidding against others. Overall it's a very fun game, and one I've been playing for over 5 months now." "I was actually amazed by this game good time killer when you are bored pull out your phone and kill time. Loved the fact that it is very simply to get the hang of it and controlls are simple and easy to catch on." "The game is addicting and fun. Love being able to own my own town, and whats around me. I find myself driving to my favorite spots just to own it!! Lol"